The frigate Rose of Devon rescues from a wreck in mid-ocean twelve men who show their gratitude by seizing the Rose, killing her captain and sailing toward the Caribbean where they hope to plunder Spanish towns and galleons. Mistaking an English man-of-war for a merchantman, they are captured and brought back to England for trial. Only one, an English lad, Philip Marsham, a member of the original crew of the Rose, is acquitted; and he, after adventures in the forces of King Charles, tires of Cromwell's England and sails for Barbados once more on the Rose of Devon. 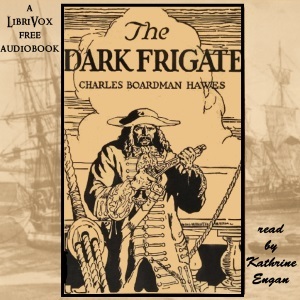 The Dark Frigate has long been a favorite story for boys and in 1924 was awarded the John Newbery Medal, given annually "for the most distinguished contribution to American literature for children."